This spring's fashion trends are full of retro surprises. They give you many opportunities to flaunt your artistic nature on your clothes instead of your walls or screen saver. This season's must haves are fun, quirky, even beautiful. They come in all price ranges and sizes and there are various ways to wear them. From colorful landscapes printed on bags to impressionist flowers printed on skirts, this season's fare is meant to be fun and a bit audacious. Landscape scenes and portraits are one some of the biggest trends this season. 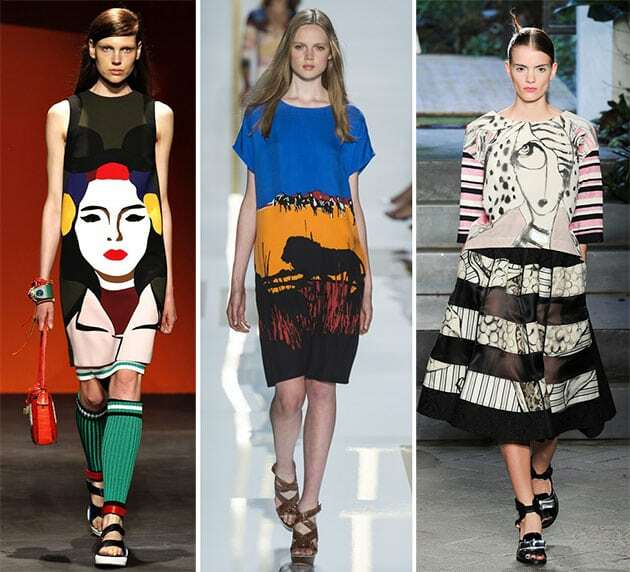 From graphic doodles of faces and photographed and sketches of landscapes, these two trends can be colorful and unique stand outs. These two trends were singled out in the shows of designers Dolce and Gabbana, Diane von Furstenberg, Jean-Charles de Castelbajac, Antonio Marras, Prada, and Jean Pierre Braganza, making them some of the most after trends in the high streets around the world. Brush stroke florals is another popular artistic trend this season. It is a mix of vibrant, yet feminine florals, seemingly painted onto fabrics. Its impressionist art in its finest hour. This trend offers beautiful blossoms bursting across their fabric canvases and strutting down the runways of London and New York. It's akin to art school for fashionphiles. This trend definitely makes fashion this season more fun and flirty. 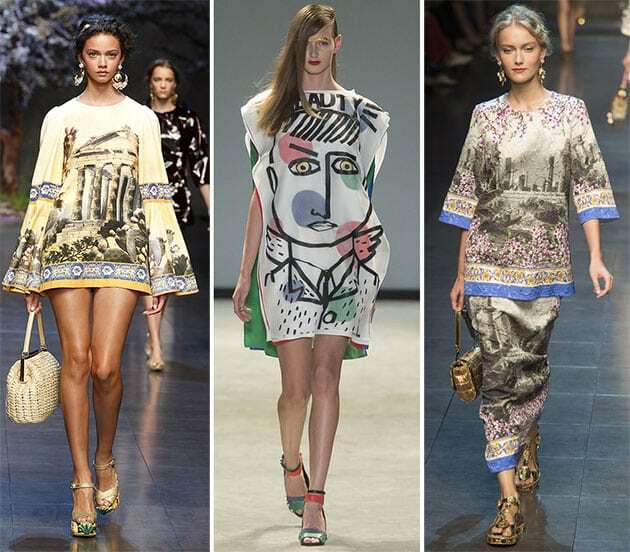 Wearing your art on your sleeve has definitely been endorsed by designers Laura Biagiotti, Marni and Oscar de la Renta, as well as Stella McCartney, Rebecca Taylor and Dries Van Noten. Painted florals is yet another trend that you should try and have in your closet, you never know, this one may become an overnight classic for many fashion seasons to come. Here's hoping you enjoyed these two trends. Make sure to post any pictures of pieces or outfits that were inspired by them.